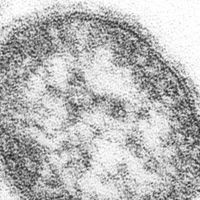 This year’s numbers—just a few months’ worth—are already a couple hundred shy of the record 667 measles cases reported in all of 2014. 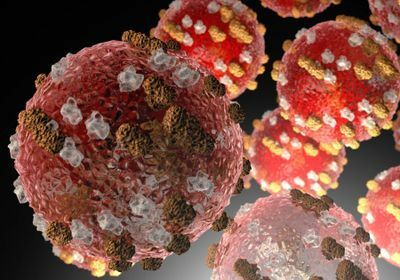 The record was set as the highest number of infections recorded since US health officials announced they had eradicated measles in 2000. The rate of infection is 4.84 cases per day, and if that rate of transmission continues, the number of cases this year will surpass the 2014 record high by June, according The Washington Post. 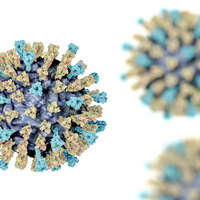 Most of the cases are in New York City and among children, specifically those who haven’t been vaccinated against the measles virus. Government officials have tried to prevent the spread of the disease by banning unimmunized students from attending public school. The authorization has hit legal snags, but, according to The Post, New York City’s Health Department yesterday (April 8) again urged yeshivas—Jewish educational institutions—in a section of Brooklyn to turn away unvaccinated children from school and day care. 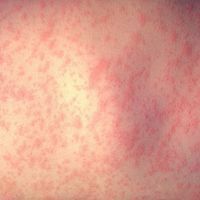 And today (April 9), New York City Mayor Bill de Blasio announced that in certain zip codes in Williamsburg, Brooklyn, unvaccinated individuals would be required to get the measles vaccine, The New York Times reports. 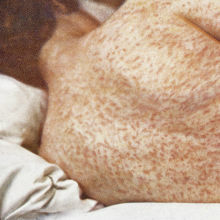 “This is the epicenter of a measles outbreak that is very, very troubling and must be dealt with immediately,” de Blasio said at a news conference in Williamsburg, according to the Times. He noted that the city would also fine or shutdown yeshivas that did not abide by the measure to prohibit unvaccinated students from attending classes. Although most severe in New York City, cases have been reported in 18 other states this year.